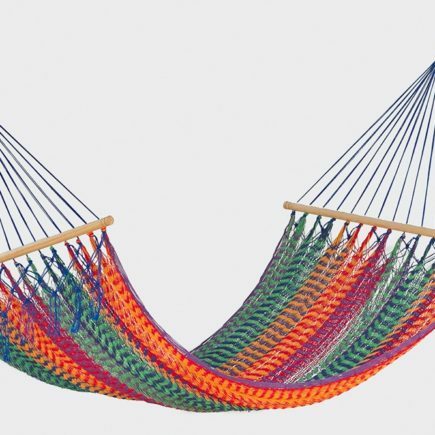 This rope hammock is made from 100% 3-ply twisted cotton and tightly woven for increased durability and comfort. 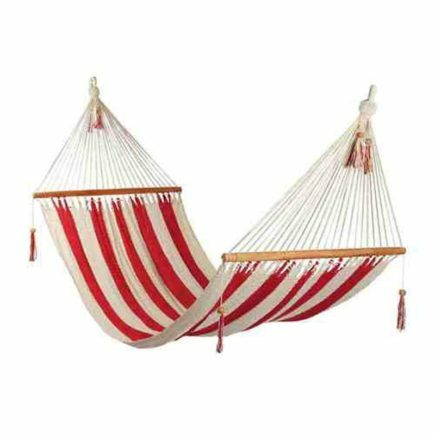 The cotton fibres continue to breathe for dry, comfortable relaxing. 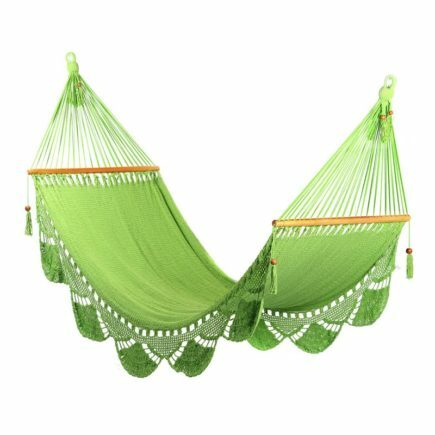 The hammock ends have, “O” rings and chains attached, meaning you can adjust the height of this hammock to whatever you prefer. 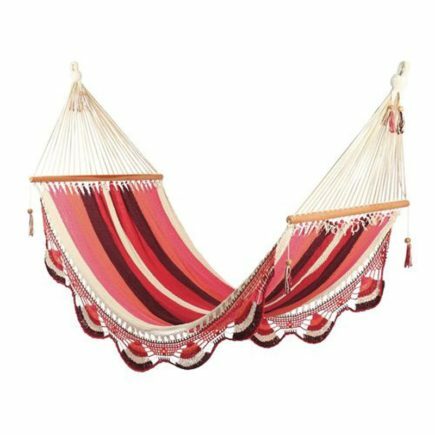 This is the perfect summer hammock for two adults.